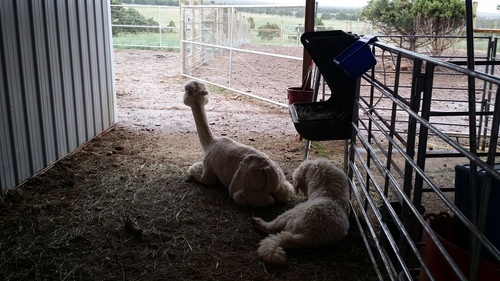 Chimera's Galileo is the product of Escondido's Makulu (El Nino's son, grandson of Caligula and Legacy). 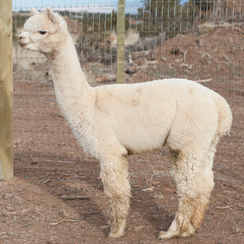 Dam is HP Holly's Wee Lassie the product of Amadeus, Jolimont (Australian) Cinemo, Jolimont (Peruvian) Pauco, White Lightning (AOBA White Champion), Javier (Canadian Grand Champion) and many more. 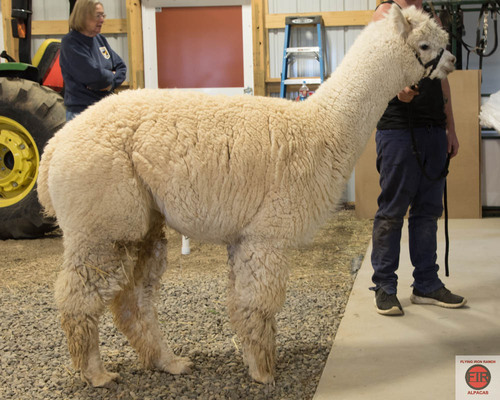 Galileo carries his ancestors legendary fine fleece. 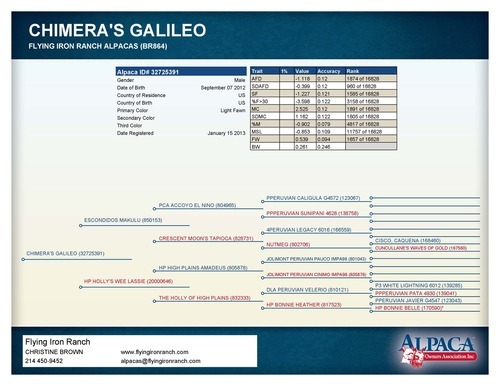 Galileo is ready to breed and pass on the great genetics of his sire and grandsires. 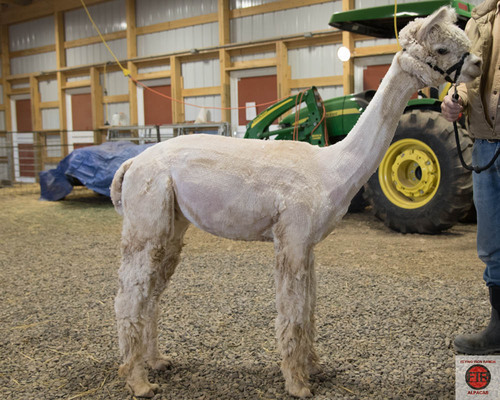 Galileo's first cria is on the ground, FIR Becca is a nice blend of Emma of Peru out of Brilliance bringing the dense white fleece their genetics are known for.